Federal Lake City 7.62x51mm XM118 Ammo 175 Grain Long Range OTM 500 Rounds ammo for sale online at cheap discount prices with free shipping available on bulk Federal Lake City 7.62x51mm ammunition only at our online store TargetSportsUSA.com. Target Sports USA carries and sells the entire line of Federal Lake City ammunition for sale with free shipping on bulk Lake City ammo including this Federal Lake City 7.62x51mm XM118 Ammo 175 Grain Long Range OTM 500 Rounds. Federal Lake City 7.62x51mm XM118 Ammo 175 Grain Match Hollow Point Bulk 500 Rounds review offers the following information; For nearly a century Federal Ammunition has put its focus on manufacturing quality products with cutting edge technology. This dedication to excellence has given Federal a competitive edge as an ammunition technology giant. Today the company is well known for producing high grade centerfire, rimfire, and shotshell ammunition that shooters everywhere know and trust. Federal Lake City 7.62x51mm ammo features a 175 grain match hollow point bullet. It also features a non corrosive boxer primer and brand new never fired virgin brass case that can be reloaded up to seven times for those shooters that love to reload their 308 Winchester ammunition. This Federal 7.62x51mm ammo offers a muzzle velocity of 2580 feet per second and a muzzle energy of 2586 foot lbs. Packaged in a box of 500 loose rounds, Federal Lake City ammunition is perfect for target and practice shooting as well as for hunting. 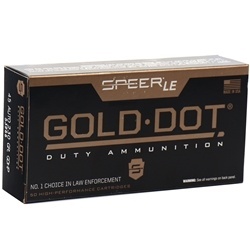 Free shipping is available on this bulk case of Lake City 7.62x51mm ammo. Federal Lake City ammunition is made in the world famous Lake City Ammunition Plant right here in the United States for the US military. Run and operated by Federal Ammunition, all over runs and access Lake City ammunition gets sold at the Civilian Market. Usually priced low and inexpensive, Federal Lake City ammo is high quality ammunition sold cheap, therefore making it a bargain for any shooter when available for sale. Federal Lake City 7.62x51mm ammo features brand new never fired virgin brass case that can be reloaded up to seven times for those shooters that love to reload their 308 Winchester ammunition. Packaged in a box of 500 loose rounds, Federal Lake City ammunition is perfect for target and practice shooting as well as for hunting. 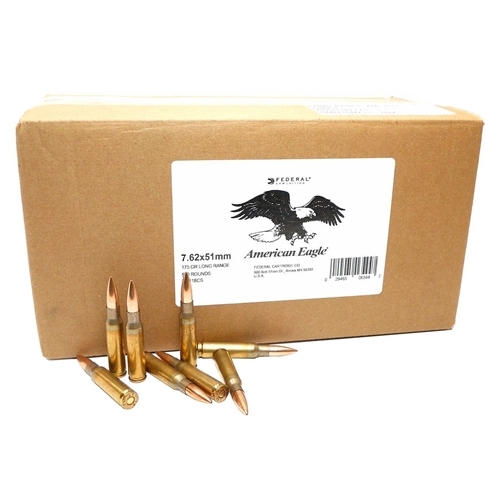 Free shipping is available on this bulk case of Lake City 7.62x51mm ammo.